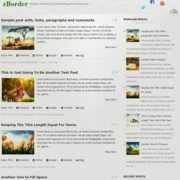 Sora CV Blogger Template is perfectly responsive blogspot theme, with a Unique and Creative design. A clean and beautiful template with varieties of section which can be displayed in a very magnificent manner. 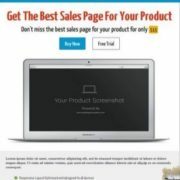 Ideal for personal information, resume and portfolio blogs. 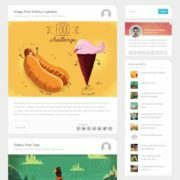 This theme is specifically built for portfolio to show off your best work. It is designed to help you create a remarkable first impression for employers and increase your portfolio’s online visibility. 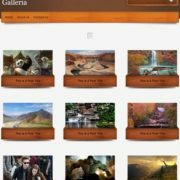 A wonderful theme to showcase your work and talent in a very unique way. 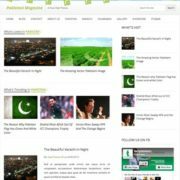 It is a highly SEO optimize theme, which will help you to get visible on various search engines with no efforts. 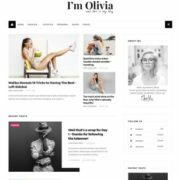 It has a 100% responsive design where each and every element has been designed with perfection to match the aspect ration of any screen or device. 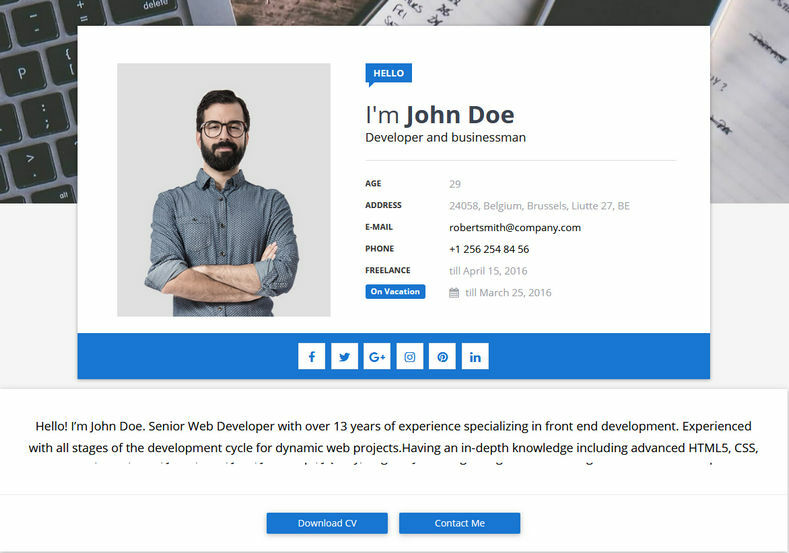 It comes in blue and white color combination with a image background on top that can be changed easily with simple coding. 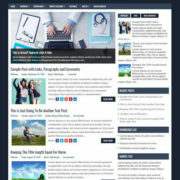 Fast Loading, Browser Compatibility, No Sidebars, Business, Business and organization, Portfolio, Photography, Ads Ready, Seo Ready, 1 Right Sidebar, Clean, Magazine, Free Premium, Right Sidebar, Post Thumbnails, Responsive, Social Bookmark Ready, Drop Down Menu, 2 Columns, Resume, CV, Stylish, Elegant, WhatsApp Sharing.